The transition of summer to autumn is always slightly dampening on the mood, and the summer blues is a difficult funk to get out of, but it doesn't have to be all that bad. 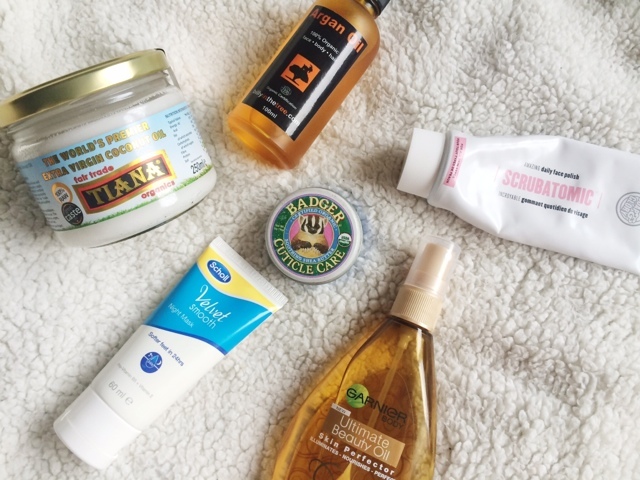 There's a few beauty things you can do, in preperation for the upcoming seasonal changes that tend to wreak havoc on your skin and hair. Heat and sun do not treat the skin well and can cause numerous types of damage. But cooler, dryer weather can also cause chaos with your skin too. You need to ramp up the hydration and get some extra moisture into your daily routine. This can be in the form of a cleansing balm, introducing oils at nighttime or an overnight mask. Coconut Oil | £5.00 is a really great, multipurpose product and can be used to remove makeup, as a cleanser, as a mask, or even as an overnight treatment - that's 4 purposes from one little tub of coconutty goodness. Argan Oil | £9.95 is also a great, overnight treatment for a real hydration boost. Simply slather this on (from head to toe), as much or as little as you like and wait for the magic to happen. In the morning your skin will appear more plump, hydrated, just generally healthy looking. 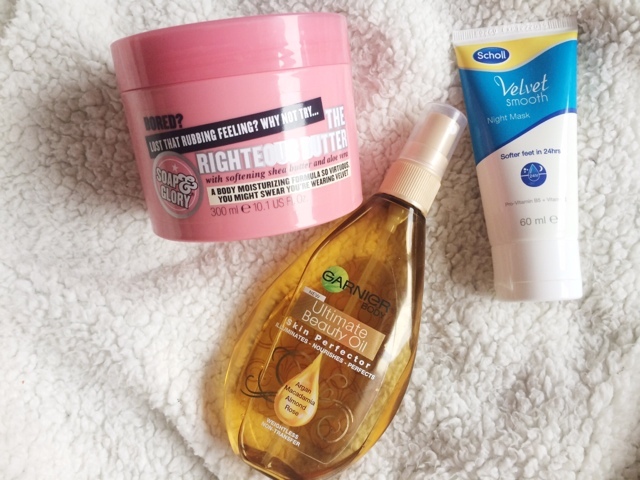 Apply every night, (or every other night) to maintain that beautiful complexion. Your face is exposed to the elements all the time, so you need to make sure you are taking good care of it and keeping it in the best condition possible. And don't forget the SPF - dig out those hats and scarves to give you a helping hand in protecting your skin. Not only is extra hydration a must have, but skin tends to get slightly dryer in the cooler months, and dry patches start to appear. Exfoliating is the fastest and most effective way to sort those out (as well as moisturising), but try not to use a harsh scrub as your skin needs to be treated with care after all the damage that the summer has caused to it. The Soap & Glory Scrubatomic | £9.00 is a perfect example of this. It doesn't damage or irritate the skin but does the job at removing any dry skin. 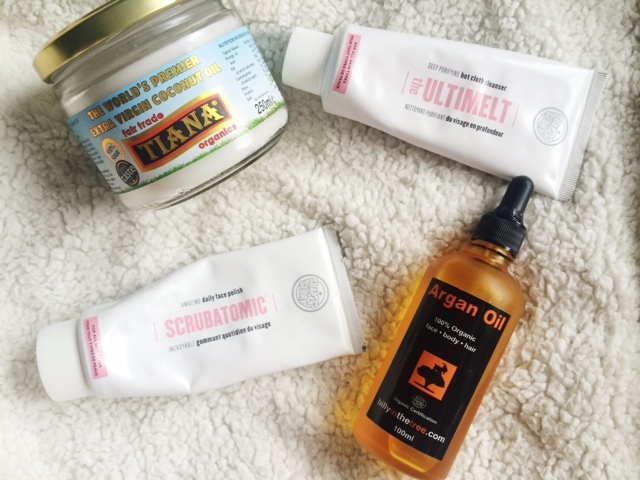 I then like to go in with the Soap & Glory UltiMelt Hot Cloth Cleanser | £9.00 to soothe my skin and add in some more moisture after the exfoliating - it's also good for deeply purifying the skin. Similar to your face, your body is suffering from the summer and the hot days we've had (even in the UK) too, so switch out those light, fruity shower gels for some more warmer scented, nourishing creams or oils. Keeping your skin hydrated and moisturised through the colder months is essential to healthy skin so those delicious smelling body butters from Soap & Glory, specifically the Righteous Butter | £10.50 (I've only cheated by 50p on that one) and silky body oils like Garniers Ultimate Beauty Oil | £4.99 can all be used again. Self tanner can be used all year round, just make sure you moisturise well before and after applying it as sunless tanner can dry your skin out and make it look patchy and unnatural. Can't forget those feet, I received the Scholl Velvet Smooth Night Mask in a beauty box a while ago and I wasn't too sure on this, as I thought it was one of those treatments that you have to put socks on after for it to work properly (I hate wearing socks in bed) but this sinks in like a normal cream, and then in the morning you have super soft feet. Urgh, all this talking of feet makes me cringe, let's move on now. Avoiding heat styling is of course the number one thing you can do to keep your hair healthy but that isn't always easy. Besides, the same way skin is affected by heat, so is hair, so keeping it nourished is step 1. Hair oils are step 2. Designed specifically to nourish the hair, they also help to de-frizz, smooth and tame hair. 4 birds, 1 stone. For an affordable, at home, intensive hair treatment, grab yourself some coconut oil, slather on to dry hair from your ears down (avoid the roots) and tie up (I normally braid my hair so it doesn't get all over my pillow) and leave on either overnight or for a few hours or however long you can. Shampoo out and condition your hair as normal, and you'll be amazed, this stuff is magic. It makes your hair so soft and shiny and it feels amazing. You can do this as often as you feel you need to. You don't have to do such an intensive treatment every time. You could leave it on for a few hours one time and then overnight the next. To maintain your new amazingly soft and healthy hair, try using hair oils. 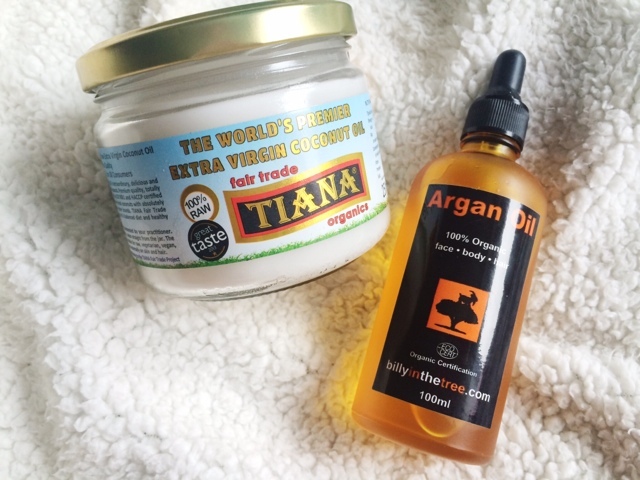 There's a few that I really like but Argan Oil is an affordable, multipurpose product to have. You can apply when your hair is wet, towel dried or completely dried. You can use as much or as little as you like, just avoid the roots and scalp area. To make sure I keep my hands and nails in good condition I make sure I apply some cuticle care and hand cream. I love this Badger Cuticle Care | £4.99 it has Shea Butter, beeswax and a large array of botanical oils to make it soothing and hydrating. I love applying this whilst at work, before bed, before doing my nails, infact, any time I can really. 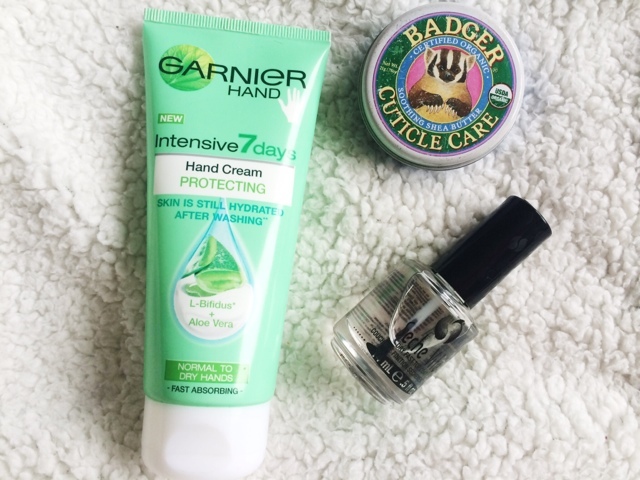 To keep my hands soft and moisturised the Garnier Intensive 7 Days Hand Cream with Aloe Vera | £2.99 is my favourite for the autumn/winter months. This stuff banishes dry, gross hands and just makes them so soft and smooth and sinks in so fast there's no greasy feeling at all. Perfect for if you're typing all day long. Finally, to keep my nails nice and shiny, whether I have nail polish or or not, I like to apply the Seche Vite Top Coat. This is my favourite top coat ever, it dries your nails in under 5 minutes and keeps your manicure chip-free. I highly recommend this, especially for when you have those dark polishes on, if you have ever had dark polish smudge before, it looks darn right awful and I always have to start all over again, so this is the perfect way to stop that from happening and having a perfect manicure. Ive rambled on for far too long now so I think it's time to wrap it up there. 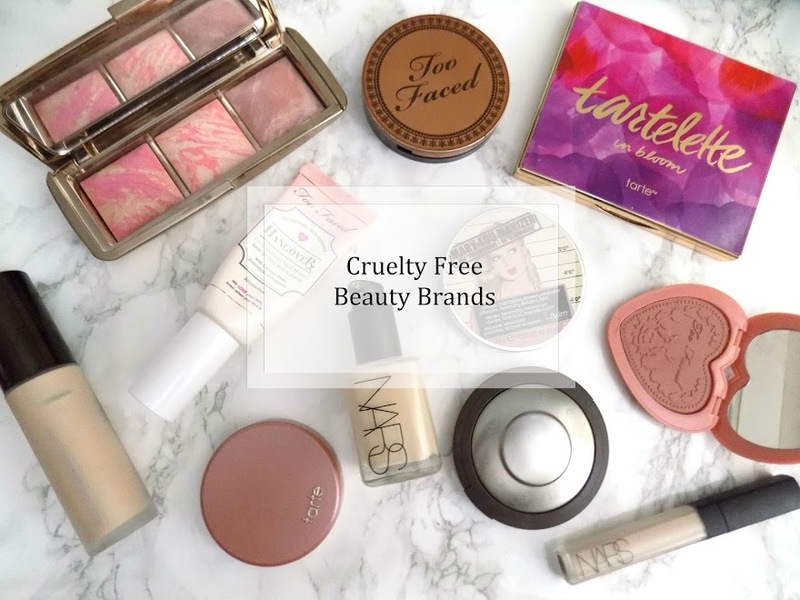 I hope this has helped and maybe given you a push to start switching up your beauty routines. If you haven't already, then go check out The Makeup Bag: The Autumn Edition and this weeks Monday Mani Autumn Edition for all things makeup, nail and autumn related.